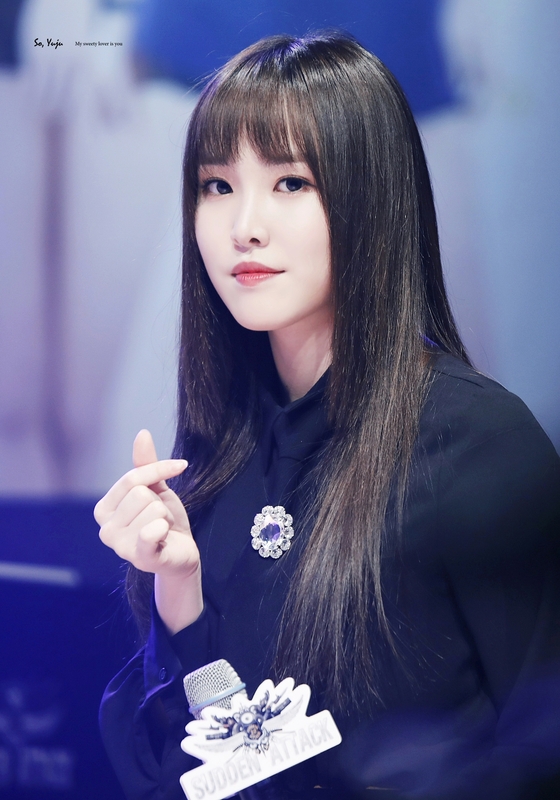 When other girl groups do high notes, it all sounds like "ahh~ aah~~"
Yuju uses a lot of belting in her singing. It's something similar they use for Pansori, it reminds me of those musical actors who accompanied instruments in the old days and we could hear their voice throughout the audience, they had to make the lyrics sound super clear. Of course she needs a powerful voice for that. It's not only through hard work that she achieved it, but through hard work and pure talent.